Ever considered bipolar treatment centers? Get the personal, one-on-one attention and support you deserve. The centers for bipolar treatment listed below all have outstanding reputations.They were selected based on their reputation, and also on their having some unique or significant service offering. 1. Skyland Trail Bipolar Center “Skyland Trail is a model of care for people with mental illness …its services are simply state of the art.” Rosalynn Carter, Former First Lady, October 2003. Each stay begins with an assessment of symptoms and skills deficits to determine the most appropriate treatment program. The Center uses a range of therapeutic approaches to fit each client’s needs and learning styles. recreation. 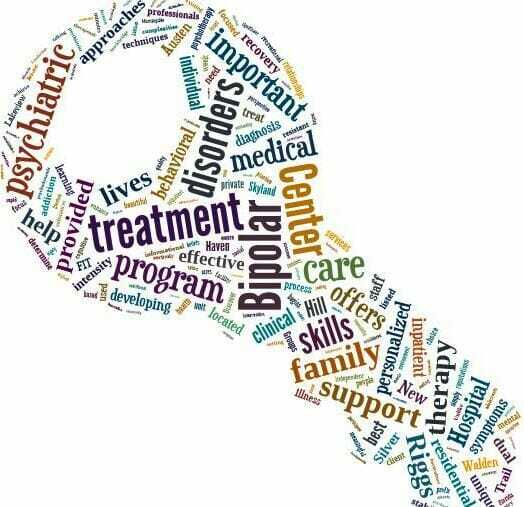 Clients practice their developing skills at the bipolar treatment center in the residential programs and the social program. 2. The Austen Riggs Center is a sychiatric hospital and residential treatment center that has maintained nearly a century of innovation, tradition and clinical excellence. Treatment at Austen Riggs is conducted in an open and voluntary setting within a therapeutic community. A strong emphasis is placed on patient authority and responsibility while we all work to examine the meaning behind behaviors and how behaviors impact relationships. with a treatment-resistant mood disorder, such as bipolar disorder. become people taking charge of their lives. and one hour from Albany, New York. The historic buildings that make up the Riggs campus are located along Norman Rockwell’s Main Street. 3.Hollywood Pavilion Treatment Centeris a treatment center for women in Fort Lauderdale, Florida. Their treatment approach consists of psycho-pharmacology and a skilled blend of cognitive, behavioral and experiential techniques. These modalities are complemented by ancillary activities to heal emotional distress, enhance spiritual awareness, and develop self esteem. Their philosophy is that women need a safe environment that is free from distraction in order to explore all the complexities of their internal and external lives. 4. Rose Hill Treatment Center is a private, non-profit, psychiatric rehabilitation facility. It is located on 372 rolling, wooded acres in Holly, Michigan about 40 miles north of Detroit. 1. Provide psychiatric treatment and maintain clinical stability. 2. Develop proficiency in work skills. 3. Enhance social, leisure and recreational skills. 4. Support independent living skills. at Beth Israel Hospital involves the families of bipolar patients at every stage of care. This is known as Family-Inclusive Treatment (FIT). FIT is an alternative to the common psychiatric practice of limiting information about the patient’s medications, psychotherapy or other treatment. As a bipolar treatment center, both outpatient and inpatient services are offered. Inpatient treatment is on a general psychiatric unit with treatment from a specialist in Bipolar Disorder. There are three inpatient units at Beth Israel. 6. Lakeview Health in Jacksonville, Florida, specializes in dual diagnosis treatment. Unlike some bipolar treatment centers that are only set up to treat bipolar, Lakeview also addresses the addictions that frequently exist along with bipolar. From a clinical perspective, Lakeview’s dual diagnosis treatment program treats co-existing disorders concurrently, looking for gradual, but steady, progress. A dual diagnosis is a complex disorder to treat effectively so nursing supervision, medical / psychiatric care, drug detox, and addiction help are all provided. Caring and supportive addiction treatment / psychiatric staff are available and on premises 24 hours a day, seven days a week. 7. New Haven Residential Treatment Program offers teen bipolar disorder treatment. At New Haven teen girls with bipolar disorder are provided an individual treatment plan to help them and their families deal with and overcome the difficult challenges associated with bipolar. Disorder. New Haven has highly qualified psychiatric professionals. Treatment includes 90 minutes of individual therapy per week, 90 minutes of family therapy per week, proper medical treatment, and in-the-moment processing with New Haven’s highly skilled staff. 8. Silver Hill Hospital is a nationally recognized, independent, not-for-profit psychiatric hospital. Since 1931, it has focused exclusively on providing patients the best possible treatment of psychiatric illnesses and substance use disorders. Inpatient Care for adults and adolescents at Silver Hill Hospital focuses on rapid evaluation, relief from symptoms of illness and, if indicated, detoxification from substances of abuse. There is a high staff-to-patient ratio to help patients achieve rapid stabilization. Silver Hill Hospital emphasizes the importance of family involvement. Another key belief is that the environment of care is as important as the techniques of care. 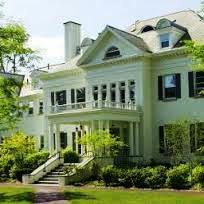 The treatment center is located on a beautiful 45-acre country campus in New Canaan, Connecticut. It offers patients a setting that fosters the process of recovery. If this is something important to you, this may make Silver Hill an important when shortlisting bipolar treatment centers. This is the bipolar treatment facility Catherine Zeta-Jones uses for her maintenance inpatient stays to address her Bipolar II. 9. Walden Behavioral Care provides a complete “continuum of care” for treating patients with psychiatric disorders such as bipolar and eating disorders. Walden concentrates on integrating medical, behavioral and nutritional care. This whole-health approach helps achieve lasting results for those who seek a meaningful recovery. Walden’s bipolar treatment center is located in Waltham, Massachusetts. Treatment approaches overall are anchored in proven, clinically effective techniques. Lithium carbonate, which can reduce the number and intensity of manic episodes or even prevent them, is often used, and behavioral therapy and psychotherapy are also important, in addition to support groups for family members. Walden is an attractive choice for people struggling with bipolar and eating disorders. 10. Morningside Recovery offers a unique Bipolar Stabilization program. This goes beyond the usual (but very important) medication and therapy treatments to teach critical stress management, bipolar specific education for patient AND family, and very valuable nutritional guidance. I especially like the emphasis placed on teaching sleep hygiene and the importance of a constructive daily routine. This makes Morningside one of the most recovery oriented bipolar treatment centers. option is only available if you live near Stanford but it is a great option because of the degree of diagnostic precision and expert non-drug based treatment offered such as the best in DBT. planet. We are talking bleeding edge here with unique offerings such as genetic testing to help determine in advance what the best medication for each individual is likely to be. Unlike many bipolar treatment facilities, it also caters to child and adolescent patients. Of all the private bipolar treatment centers listed, I think I personally would opt for the Austen Riggs Center. Why? Because of the focused and personalized quality of their therapy, and their expertise in treatment resistance.